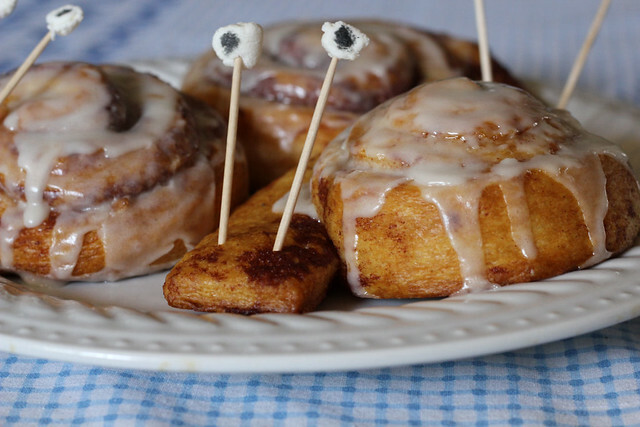 Another cute idea to serve up for breakfast to the kids. Have had this one in my "to try" list for a long time, found at Cute Food for Kids. 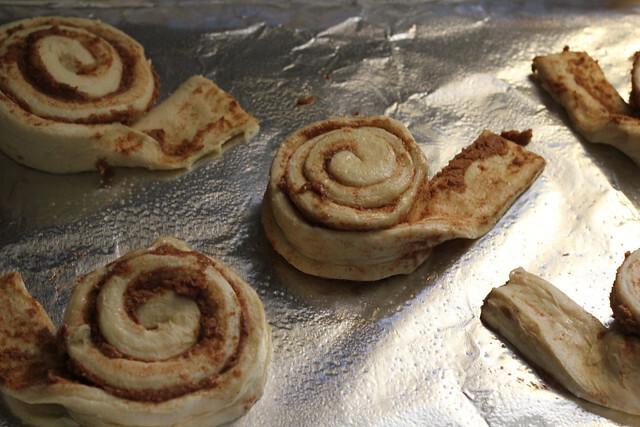 Set the cinnamon rolls on a greased cookie sheet, or foil lined sheet as I have done. 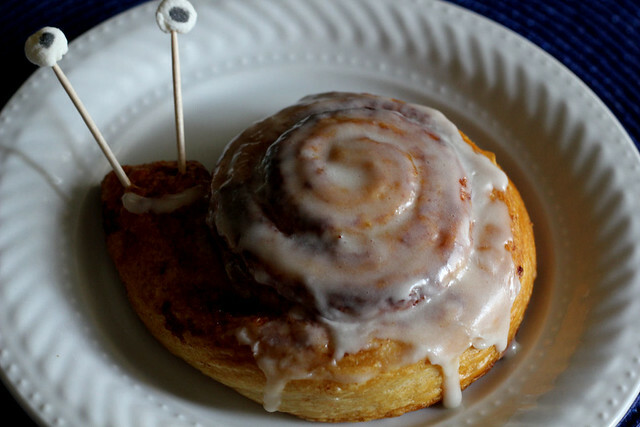 Unroll the cinnamon roll a little to make the neck and head of the snail. You can trim the tip to make it more rounded but I didn't do that. Bake according to the package directions, which should be 350 degrees for 16 to 22 minutes until nice golden brown and top looks dry. 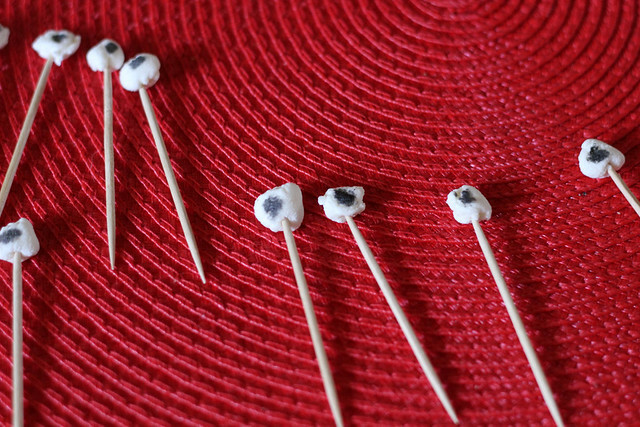 In the meantime, make the eyes using toothpicks, mini marshmallows (I didn't have mini ones so I just tore off little pieces and rolled them into a ball. Draw a black dot with the food marker. When the buns are done, remove from the heat. 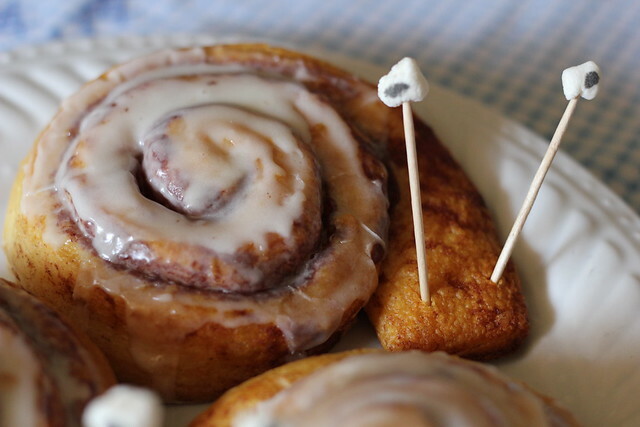 Let cool a little, then slather on some icing on the shell. Pop on the eyes and you can even do a little mouth if you wish. Enjoy! My kids thought they were the cutest things on earth, and I have to agree. 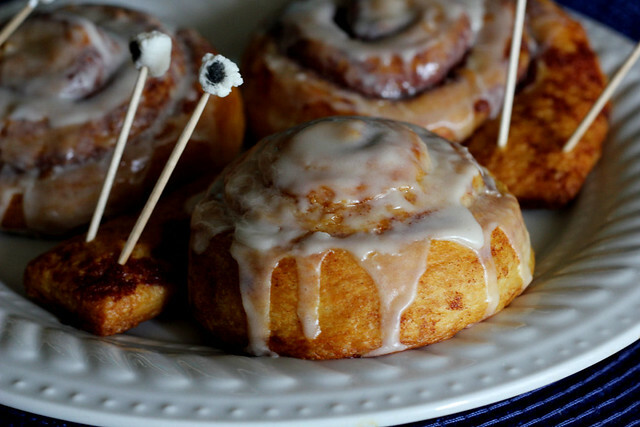 I think next time I'll make homemade tiny cinnamon rolls for little snails. Too cute. I have to make these. my kids will love them.